Offline navigation and search (and a few other things) are now legitimate features in Google Maps, even if most of us can't use them until our individual accounts are blessed by Mountain View. I get it, I'm in the same boat. Even though there are quite a few additions in this update, it seems that a couple of things didn't quite make the cut; but there are bits and pieces that show they're in the works. A teardown shows that we're probably going to see prices for different types of fuel, rather than just regular. We can probably also look forward to hotel listings that also show a standardized list of amenities. 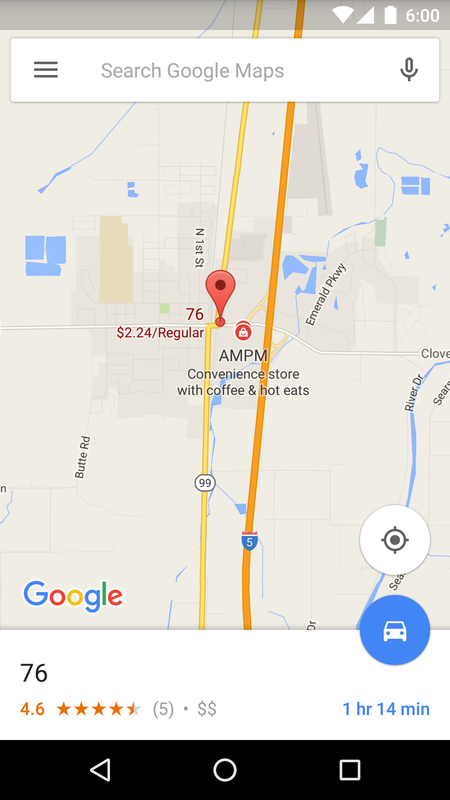 It was just last month that Google added prices to search results for gas stations. As it turns out, those prices only reflected regular gasoline, which left a few people feeling ignored if they had a preference for premium grades or their vehicles required diesel. Now it looks like Google is going to fill in the rest of the typical categories. New entries were added for diesel, midgrade, and premium. 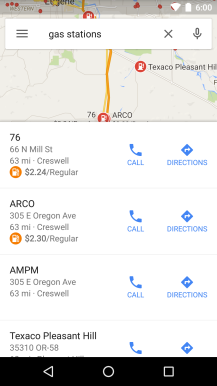 As a side note, it seems Maps has stopped showing gas prices entirely. At least it has for me and a number of other people I've asked. Given that this just started happening, it's likely there's either a bug interfering with data or Google may have temporarily shut down the feature in preparation to launch support for more types. The point is, if you're not seeing gas prices, you're not alone. There aren't any clear indicators for when this will go live, but it could probably happen with this version. There's still nothing to suggest if it will be possible to filter out certain types of fuel or set preferences for the types that are preferred, but that would probably be ideal for people who drive diesel vehicles and have no need for information about the other types. 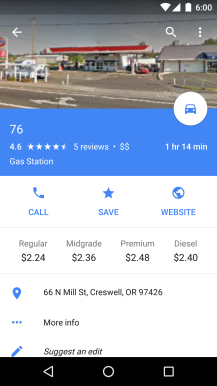 Gas prices are showing up again, and with Maps v9.17 or above, this includes prices for four different grades: regular, midgrade, premium, and diesel. 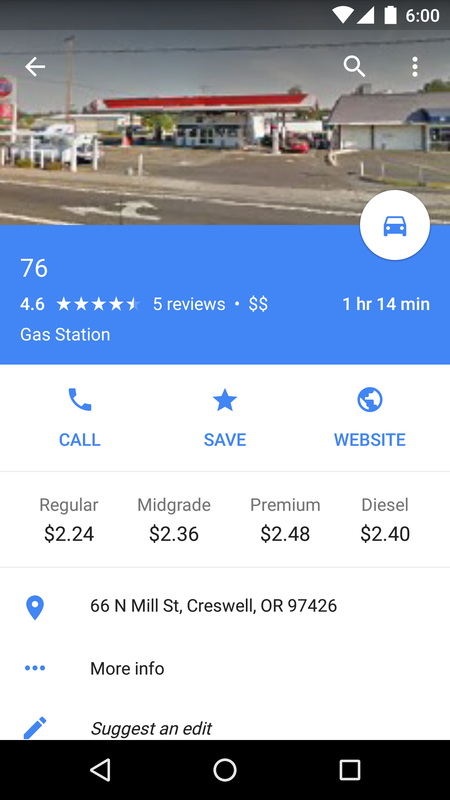 The overhead map and search results still show regular by itself, but tapping into the detail card shows the full list of prices just above the address. If you're trying to compare hotels before making a booking, it's good to know more than just a price and location. You'll want to find out if a place is kid or pet friendly, offers recreational and relaxation services, or even just that it has the basic features like Wi-Fi and air conditioning. Google is getting ready to tell you. A new batch of icons will be used to represent some of the most common hotel amenities, just like we would see on most booking websites. It's not really clear when or where these images will show up, but since this is the kind of thing that normally goes with a booking service, it's safe to bet that a fully functional hotel search engine is coming to Maps. This is far from a stretch since Google already offers the same thing in its search engine, and even with very similar icons (see below). To be clear, bookings can be made in Google Maps already, but they don't include any kind of amenity listings (beyond a custom description) and there aren't really any good ways to filter or search by anything other than hotel class and customer ratings. 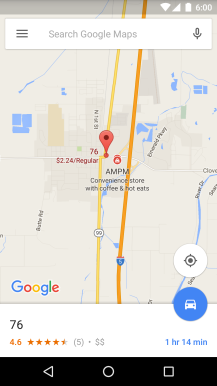 Hotel listing in Google Search. That's about it. This version of Maps was chock-full of great changes. After adding search along the current route, offline navigation, and a good number of other features, most of the major wishlist items have probably been taken care of. There are still some bugs to fix and details to polish, but the Maps team has certainly done a great job setting people up with the right features just before the major holiday traveling begins.